Lucy the Sock Monkey Presents a Unique One-of-a-Kind Scarf Presentation. Yarnspirations proudly introduces a unique Knit & Crochet Along Adventure starting September 9th, 2014. I received the ‘low down’ on this crochet adventure back in June 2014 and I was really blown away by the concept. This crochet along is unique and very unusual. I’m not allowed to let the ‘yarn’ out of the bag, sort of speak. I can tell you a few details though. Lucy, the sock monkey, will be sharing the adventure with you on how to create a unique and absolutely ‘one-of-a-kind’ scarf. Simply brilliant idea. She will be giving you clues each week. How can a scarf be ‘one-of-a-kind’ if Lucy is sharing the clues each week? Just you wait and see. Lucy will be using the new Caron United Yarns for the crochet along adventure. You can sign yourself up now if you would like to participate. It’s worth it if you ask me. Have fun and enjoy your mystery scarf! 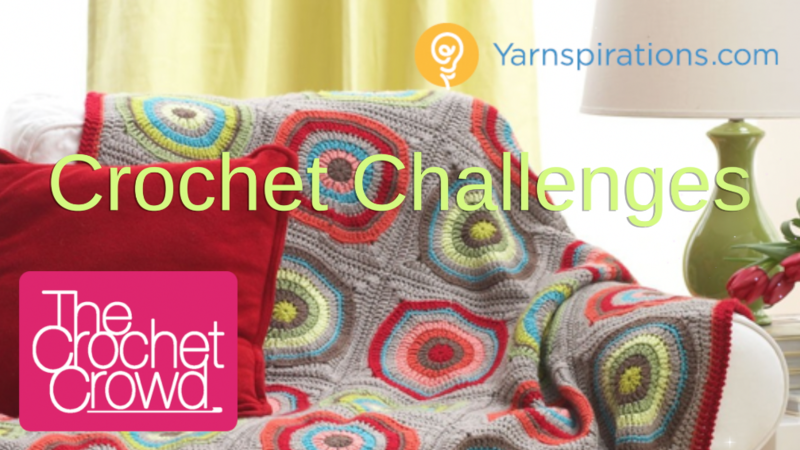 This challenge is being run by Yarnspirations. I am disappointed at the rate the clues come in. I have yet to receive clue 6 which was due today. I am trying to do all 3 scarves. They had you buy 2 skeins of each color that you were using and there is no way you need 2 of ea h olor. I left them a note on their site. This started off good but now the blocks are weird looking…I quit after 2nd clue. Very dissapointed with this one. Be sure to contact Yarnspirations and express your thoughts. This is the only way they know how to improve for the future. The emails come from Yarnspirations, not the Crochet Crowd. Could you have possibly deleted them by accident? This challenge is dumb! Why am I not getting the clues or finding anything on this challenge? Nothing in the emails!! I signed up for it and nothing! They need to get their act together if they want to do these things! Dumb dumb dumb!!!!!! Clue #1, Option C, completed and posted to Yarnspirations Progress Pics forum. Is there a place that lists how much yarn I need to complete the challenge? I want to do it but don’t know if I have enough yarn on hand. Clue 1 done and dusted. Love this challenge!! I was lucky enough to find the yarn locally, which doesn’t happen often. For once I am ready with yarn, hook and a clue!!! My family would laugh if they could see this post. I’m always being told I’m clueless,lol! Not tonight!!! Still no email on instructions for this. I keep checking my e-mail– I thought it was to start today. Nothing in my e-mail yet ??????? I’m with Charlotte. I know this isn’t one of Mikey’s challenges, but I ordered my yarn forever ago. I got it yesterday after I had begun sweating having it before the start and now no start. Very strange indeed. Nothing on Yarnspirations or via email. They must have had some sort of delay with their suppliers or something and backed off the start. Just guessing. I haven’t seen anything either. Glad though it’s not just me! Hopefully they will have the emails sent out soon. Looking forward to getting started! did anyone receive pattern info? I am ready to go since last Friday when my yarn arrived and so far no email!!! Morning Mary, I cannot sign you up. 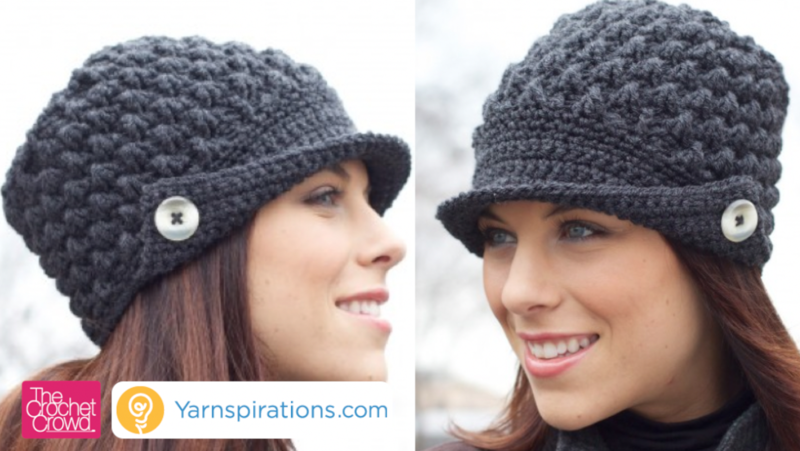 This fun crochet along is being hosted by Yarnspirations. You need to contact them for help if you need it. See their contact page to request help. I just signed up for both. Looking forward to it. I’m hoping I can find the yarn in a store close by since I won’t have time to order it online and then wait. This will be my very first crochet/knit along. My local Hobby Lobby carries the yarn. Hope that helps. I still love the new stitches I learned from the sitichcation. I can’t learn by reading a pattern I have to be shown how to do something and then I can do it. I have shared the YouTube links with lots of people I know who have the same problem. 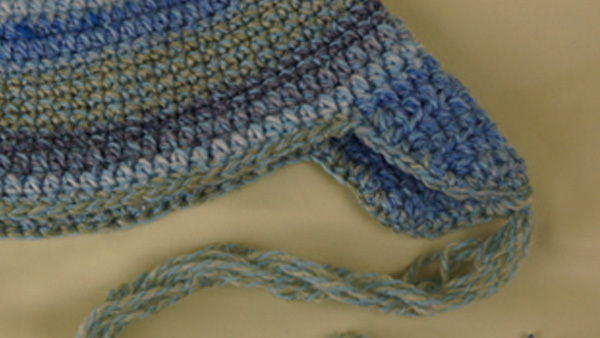 You can use any yarn you have on hand as long as it’s a 4 (worsted weight). I’m in! Yarn on its way! Marked my calendar! Is it just me or does that seem like a lot of yarn for a scarf? I think it’s 3 balls… they are doing colour schemes with this challenge. You will see it unfold soon! I think today is the release date. Do we know how many ounces of yarn and suggested colors yet? I just signed up! Have to wait and find out more. This one is just for fun as far as I know. This is being presented by Yarnspirations. I believe it is to promote the yarn sales a portion of which go to fund college for the children of veterans. Very good cause.